Distinctive features: "Designed to be easily programmable in a business office or scientific laboratory". Programs saved on magnetic cards. Capabilities: 4 function, limited scientific, programmable, magnetic card reader. Basic machine has 9 memories and 192 program steps. 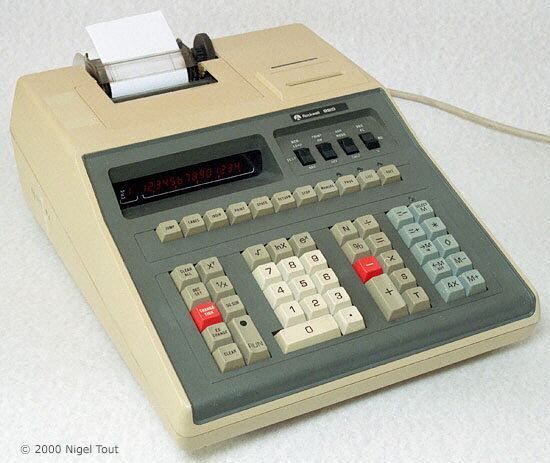 Expanded machine model 920/2 has 41 memories and 448 program steps, cost £795 Sterling (about US$1850). Expanded machine model 920/3 has 96 memories and 996 program steps, cost £895 Sterling (about US$2080). Designed to be easily programmable in a business office or scientific laboratory, with conditional jumps, symbolic addressing, memory indirect addressing, subroutine nesting to 4 levels, and simple debugging and editing. 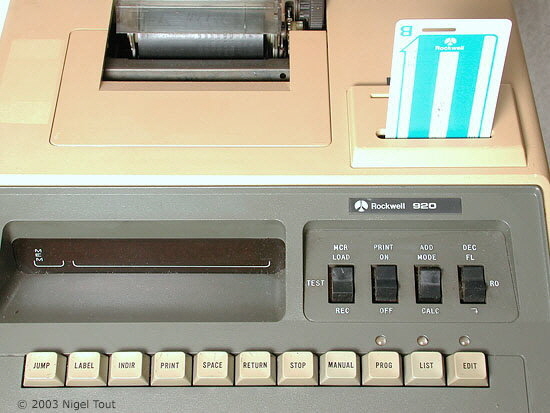 Each magnetic card can store 256 program steps on each side, and can also be used for storing data. Rockwell had an extensive library of programs available on magnetic cards that they could supply. Display: 14 digits, amber gas discharge and printer. Rockwell A0577PA, A0578PB, A0579PB, A0580PB, A0581PA, 10696PA, 4x 10432PD, 3x 10432PC, 10660PD, Motorola MC14515CP. Size: 297 mm x 425 mm x 155 mm (12" x 17" x 6.25"), 8.25 Kg (18.25 lbs). Assembled in Mexico, US, and Foreign Parts. 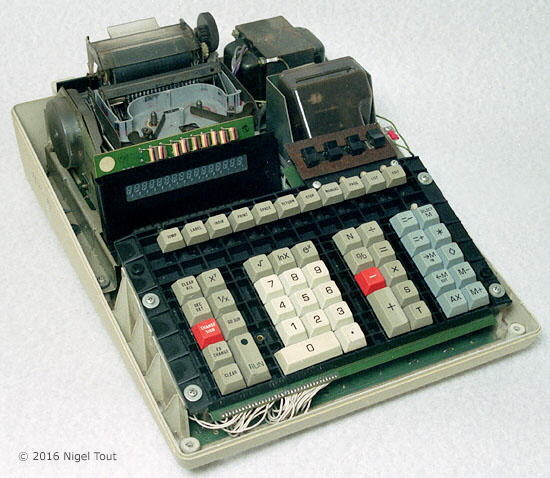 Significance: A large calculator with a lot of integrated circuits, which were required at this time for the memories, the card reader, and the printer. Rockwell 920 with a magnetic card about to be read. Rockwell 920 with cover removed. 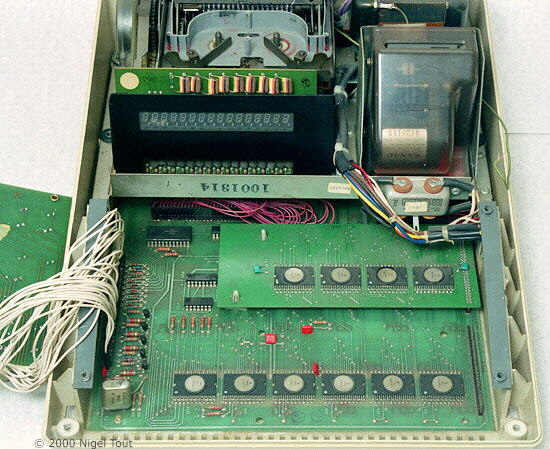 With the cover and keyboard removed, showing most of the Rockwell integrated circuits, the display at top left, and the magnetic card reader at top right.